Are MOOCs a catalyst for reimagining education, a sign of the increased corporatization of the education sector, or merely a well-publicized but passing trend? Massive Open Online Courses shares insights from multiple stakeholders on what MOOCs are now and could eventually become, providing those in higher education as well as K-12, military, government, and corporate training with an authoritative source on a wide range of key issues surrounding MOOCs. MOOCs, or Massive Open Online Courses, are a disruptive technology currently forcing a serious reconceptualization of accreditation, assessment, motivation and retention, technology-based instruction, and the overall student experience. In this timely volume, Paul Kim brings together experts from higher education, business, law, learning analytics and other relevant areas to provide an evenhanded, research-based positioning of MOOCs within the existing educational technology landscape and a base for understanding whether they could reshape the future of education. 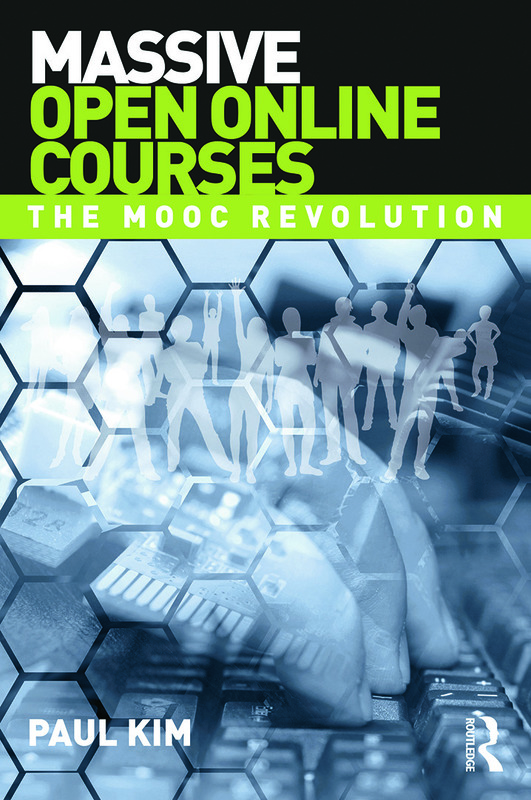 "If you have ever thought you might be interested in participating in a massive open online course (MOOC), this is the book for you. Describing the work as focusing on "pedagogy for the learner, universities, platform providers and … the teacher's role," Kim (chief technology officer, Graduate School of Education, Stanford Univ.) has collected an international assemblage of educators and educationalists intimately involved with the MOOC phenomenon…Summing Up: Highly recommended. Upper-division undergraduates through professionals and practitioners; general readers." "New technology-based models for postsecondary learning have the potential to disrupt higher education, military and industry training, and even parts of the high school curriculum. This important book describes the types of advances needed in current MOOCs to reach their full potential. Appropriately, its focus is predominantly on teaching and learning models, including the complex issues of faculty professional development and of increasing peer interaction to offset reduced instructional support." "Like several disruptive innovations in the long history of higher education, MOOCs have been both over- and under-sold. For some commentators, everything has changed; for others, they represent another fad which will soon be swallowed by the mainstream. This first-class collection of essays will assist practitioners, students, sponsors, and policy-makers to reach a balanced and critical point of view. Paul Kim’s outline of the MOOC impact on the 'educational ecosystem' is admirably cashed out from the perspectives of technology, pedagogy, investment, governance, design, delivery, marketing, and impact. Perhaps most importantly, the contributors are unified in their conclusion that MOOCs cannot and will not be un-invented." "I welcome the appearance of this volume of expert reviews as a significant contribution to digital scholarship." "This book will align us all around the importance of student success. Its conclusion—that the significance of MOOCS lies not in their technologies but rather in their teaching and learning capabilities—sends a critical message to educators. In my role as Dean of Continuing Education and University Extension at Harvard, I see MOOCs delivering two important outcomes: courseware to facilitate global access to education in the twenty-first century, and the wider, better use of technology by faculty and teachers to support learning. In a future where great content is free, only great learning outcomes delivered via research-driven learning ecosystems will be sustainable." Chapter 8: MOOCs, Copyright, and the Many Meanings of "Open"
Paul Kim is the Chief Technology Officer and Assistant Dean of the Graduate School of Education at Stanford University. Dr. Kim serves on the Board of Directors of WestEd, the Committee on Grand Challenges in International Development for the National Academies of Science, and the advisory committee for the National Science Foundation's Education and Human Resources Directorate.